Why do I need to choose a pediatric dentist for my child? Pediatric dentists are professionals who are specially trained to treat and care for children's developing teeth. They understand the complexity of how teeth grow and the issues of dental problems such as cavities and gum disease. Pediatric dentists know how to handle and take better care of children who are frightened to visit a dentist; they can help the child feel comfortable by relieving their anxiety. 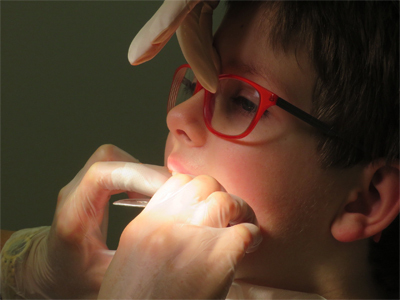 Specialized pediatric dental care is geared toward a more child-friendly environment. The dental office is decked with toys and games in the waiting room, playing popular cartoons to divert the child's focus during the dental exam and much more. The main idea behind providing this environment is to make the child feel more comfortable like being at home. A pediatric dentist is a dental professional who is specially trained to treat infants, children, adolescents and children with special needs. In order to be a specialist in the field, a pediatric dentist has to complete an advanced post-doctoral course for at least two years in the specialty of pediatric dentistry above the four years spent training to become a general dentist. This training allows a pediatric dentist to better treat a child's dental and orthodontic needs. The pediatric dental office with better-trained staff can provide a positive dental experience and educate patients and parents on the significance of maintaining good oral health. Our dental practice has highly skilled and experienced staff members who specifically cater to children. With many years of experience in providing quality dental treatment to children of all ages, Dr. Bowden and Team excel in providing a great dental experience.